A skeg is a fixed rudder that protrudes down from the keel near to the stern of a boat to help it run straight. 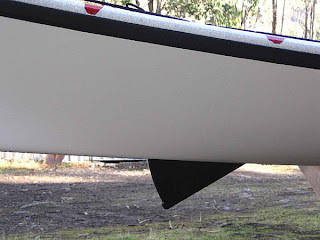 Kayaks are often fitted with a retractable skeg that can be hoisted into a slot in the hull under the stern. The kayak will be most manoeuvrable when the skeg is fully retracted. Dropping the skeg a little will help prevent weather-cocking (undesired turning to face the wind) and when fully dropped will make it easier to turn to face away from the wind. To face the wind you'll need to raise the skeg completely. 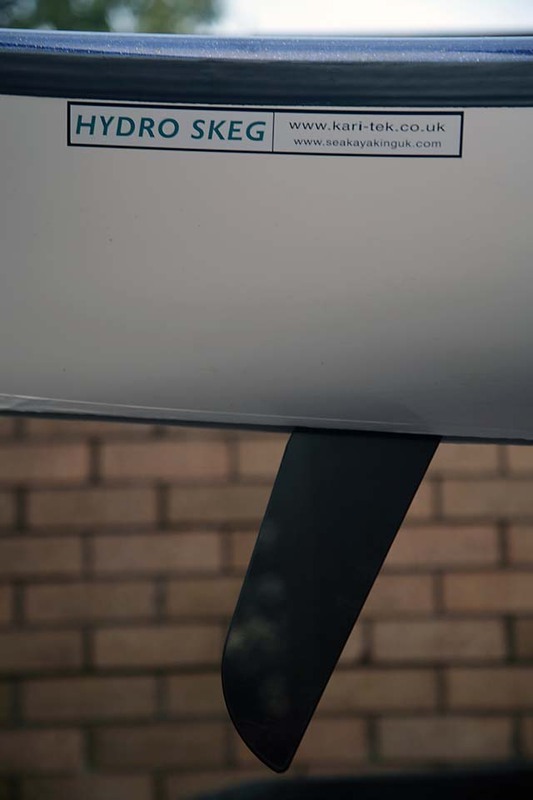 A skeg is normally adjusted from the cockpit by cable slide or line and cleat at cruising speed because the effect at speed will be different from the effect on a stationary or slow-moving kayak.